Whether your beloved collection consists of artwork, books, cars, music, or other significant items, you should not forget about this valuable asset when estate planning. You have likely spent quite some time — whether years or your entire life — building your collection; you should not leave its fate to the whims of the court. Estate planning is a great way to share the value and meaning of these much loved items with those you leave behind. Through your estate plan, you can explain to your loved ones why you collected these items in the first place as well as the meaning or value they have for you. Who Should Get My Prized Collection? There are several options for you when it comes to your collection. You may already know of a family member or friend who shares your interest and will genuinely enjoy the collection. Knowing specifically who is going to be receiving your collection may be part of the peace of mind you are looking to achieve with the preparation of your estate planning. 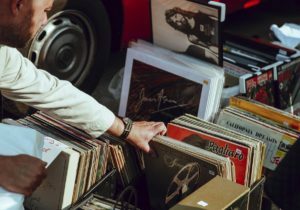 Depending on the type of collection, a charity — such as a library, museum, or other non-profit organization — might be a better option for your collection. The expense and time involved in selling, as well as the opportunity cost of wealth transfer, may make charitable giving the best and most efficient tax solution. Because some collections are best experienced as a whole, while others may be just as enjoyable and valuable if divided up, you should consider what works best before gifting your items. Sometimes valuable collections can be lent out to organizations on a temporary basis which results in cash flow that does not have the same tax costs of a full-blown sale or the tax benefits of a donation. Finally, it is essential to legally document your collection in order to conduct proper estate planning. Make sure to provide your family, as well as your executor, personal representative, or trustee, with clear direction not only on what your estate includes but what should be done with these assets upon your death. And while you are taking an inventory of your beloved collection, make sure to let your estate planning attorney and financial advisors know the extent and value of your collection. We can help you integrate your beloved collection into your overall estate plan. This can be done in a number of different ways including a specific or charitable gift, or even a personal property memorandum. Do not let the time and effort you have spent building your collection go to waste. Give us a call today to learn about the options available to you so the next generation can share in the joy of your collection.